Stochastic Cellular Automata (also referred to as Probabalistic Cellular Automata or Random Cellular Automata) are cellular automata that introduce some form of randomness. For example, the usual Game Of Life CA uses the rule 23/3. If a live cell has 2 or 3 neighboring live cells it survives. If a dead cell has exactly 3 live neighbors a new cell is born at that location. This sort of rule is called deterministic as there is no random chance involved. To make the rule stochastic we can introduce a probability for the rules. The 3 for a cell to be born could have a 90% probability applied. Now if an empty cell has 3 living neighbors it will only be born if a random value is less than the 90% probability. Finding interesting stochastic results seems even more difficult than in deterministic CA. For the 2D variation lichen like growths seem common. For 3D I have been able to tweak some amoeba like growth structures. Here is a sample movie of a few 3D rules. 2D and 3D variations of Stochastic Cellular Automata are now included with the latest version of Visions of Chaos. Seeing as these are new modes there are very little sample files included with them. If you download Visions of Chaos and find any interesting rules, please email them to me for inclusion in future releases. 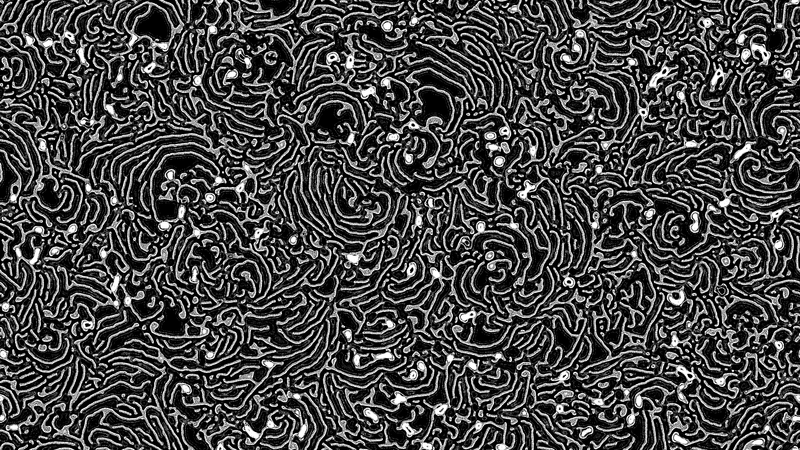 Cellular Automata (or CA as they are often abbreviated to) have insterested me for many years (at least as long as I had an interest in fractals or maybe longer). I can still remember writing my first serious code in Turbo Pascal and being amazed at the patterns that arose from John Conway’s Game Of Life. Cellular Automata are a great example of complexity and emergence arising from simple rules. 3D CA have been implemeted in Visions Of Chaos for years, but only in a 2 state version (ie each cell is either dead or alive). Here is an older low resolution example of some of the 2 state rules I found (this used to be “high resolution” on YouTube). 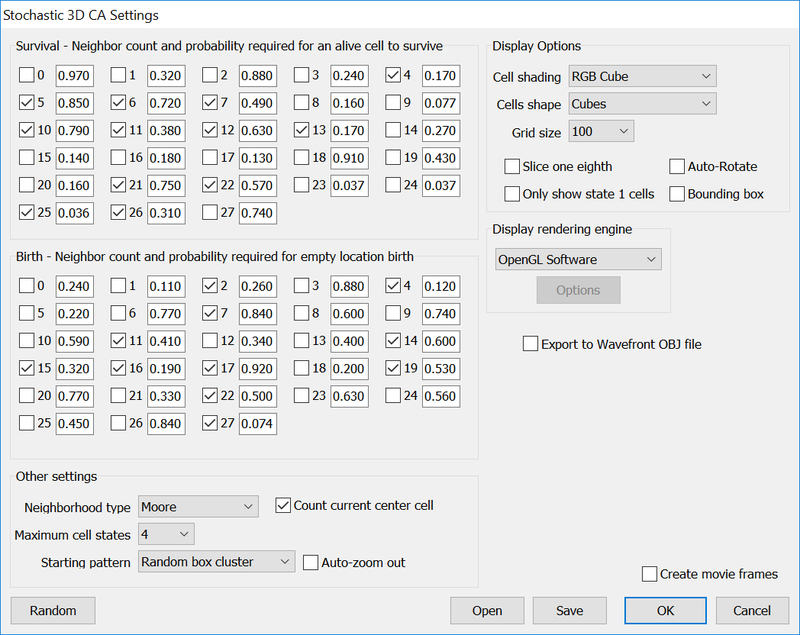 I revisited the 3D CA code when testing the new JPS support in Visions Of Chaos. The most obvious progression was to allow more than 2 states per cell. This leads to more interesting results (but also a much larger possible search space to try and find good rules within). 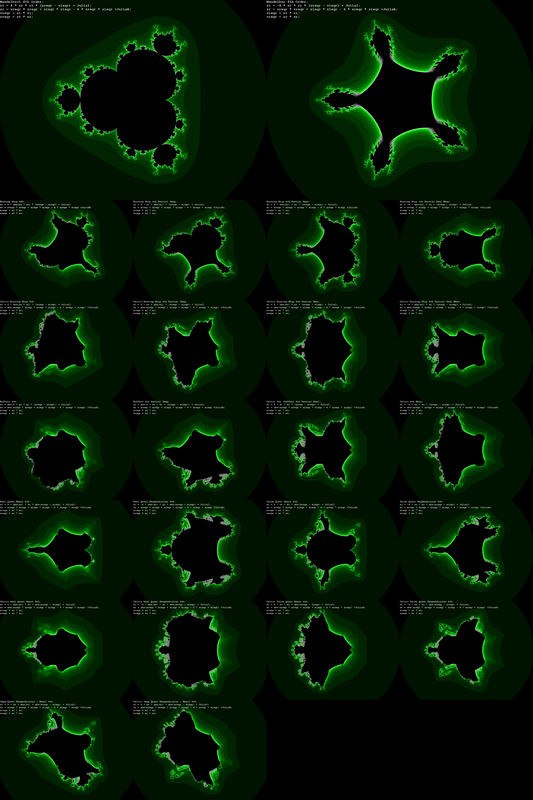 Here are a few of the multi-state 3D Cellular Automata rules I found while testing the new 3D CA code. They are all based on the surrounding Moore neighborhood 26 cells. This rule can be difficult to get started and develop (as this movie shows), but once past the initial deadness it develops many gliders and other shapes. This one has slow growth using bulbous pulsating arms to grow. Rarely it will sprout a thin diagonal growing arm from the main body that will continue to spread until it hits a wall or other active cell(s). Trying to get coral like growth. I have tweaked this one for hours and cannot seem to get a nice realistic coral result. Very similar to 4 4 5. Found when I was trying to find a 3D version of Brian’s Brain (hence the name). Expanding rule. Reminded me of footage of pyroclastic flows from volcanos. Finding good or interesting rules is not easy, so if you have any new rules let me know. Just comment on this post and give the details. Finding ways to display 3D Cellular Automata can be difficult. The main issue faced is if the rule causes a dense cluster of particles you only get to see the outside and the inside of the structure(s) remian hidden. 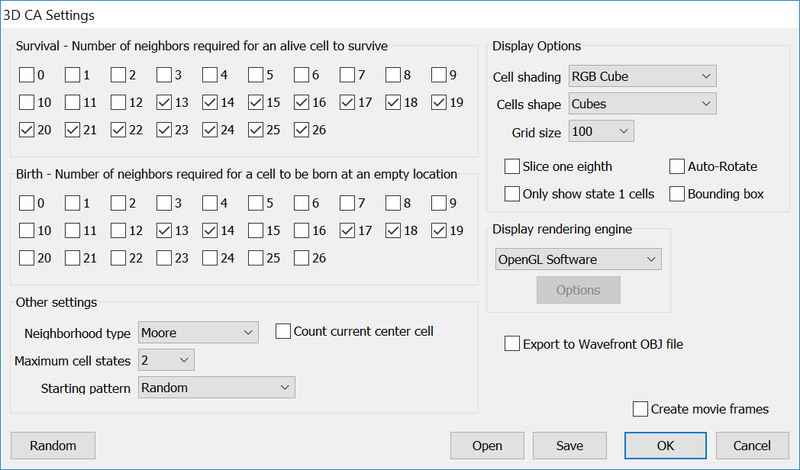 Some options I experimented with are only rendering state 1 (ie cells that have just been born) cells, and rendering the display with a chunk of cells cut out of it to see inside. A quick side tip for other programmers. If you are rendering a large grid of 3D cubes in OpenGL you can work out which sides of each cube touch another cube and then skip passing these faces to OpenGL. The overhead of coding the face checks gives a huge speedup when there are a large amount of cubes on screen.